As healthcare goes digital, identity management can help patients feel safe and secure. Compliance lawyer Jonathan Armstrong of Cordery dispels fake news about GDPR in an informative webinar. Your API documentation can make or break a sale. Learn how to unleash its full potential. Brand advocates are your best and most authentic influencers — so how can you create more of them? 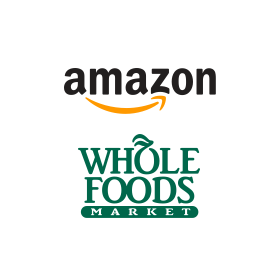 Amazon's bold play for Whole Foods isn't just about the impending automation of the retail sector, it's about the increasing importance of IAM in redefining consumer behavior. Digital Transformation Beyond the Hype - Why it matters, and the importance of identity. The New York State Department of Financial Services (DFS) has issued a new regulation that defines cybersecurity requirements for financial companies. Network, catch up on all the big announcements, and grab some swag at Rogue Ales Pub House. The happy hour hosted by Auth0, Algolia, and Keen IO is happening right after the talks end on May 24, 2017. The data protection and security landscape is all set for change next year with the new EU General Data Protection Regulation (GDPR). Find out how this may affect your business and what to do next.